The steps outlined in this document show you how an admin can allow for Microsoft Exchange integration in your Fileboard account. Generally these settings are similar to the settings as configured on your mobile phone. If you are unsure about what exactly to fill in, please contact your IT administrator. 2. 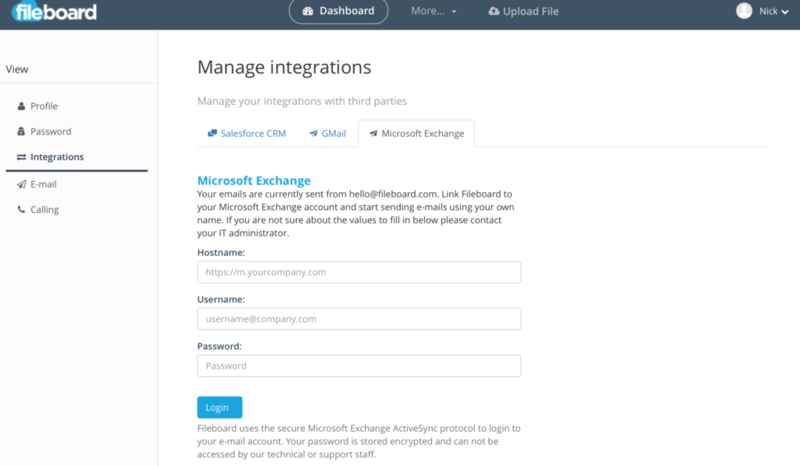 Select Integrations and Microsoft Exchange. 3. Enter your Microsoft Exchange Information.